During your trip Burma, you will often see men wearing the Longyi skirt on the roads. Indeed, this attire plays an important role in Burmese culture. The longyi is the common name for the traditional costume in Myanmar. It must be said that wearing this dress in the daily life of Myanmar’s inhabitants is one of the most popular customs. You can see this type of dress everywhere, from offices to schools, even in sports activities. The skirts are traditional Burmese clothes. In Myanmar, it’s is very hot and the temperature is often about 40 ° C. As a result, all people are dressed to better withstand heat. The longyi is simply a piece of fabric wrapped around the body. However, men and women wear it in different ways. For men, the piece of fabric will be tied at the front while it will be folded and sewn to a side to women. Formerly, men’s dress was called Paso while Htamain was the name for women’s. At the time of colonization by the British Empire, the name was changed and called the longyi traditional costume for both genders. All people in Myanmar, including entrepreneurs, porters or drivers wear the traditional longyi. Chief Aung San Suu Kyi, who has great influence for young women from here, is always in longyi. Myanmar is a country which is full of mysteries. After a long period of applying closed-door policy, the country has been positively changed on the political front. However, Burma still retains the traditional beauty of its Longyi skirt which is the most characteristic garment of the territory and people of Myanmar. 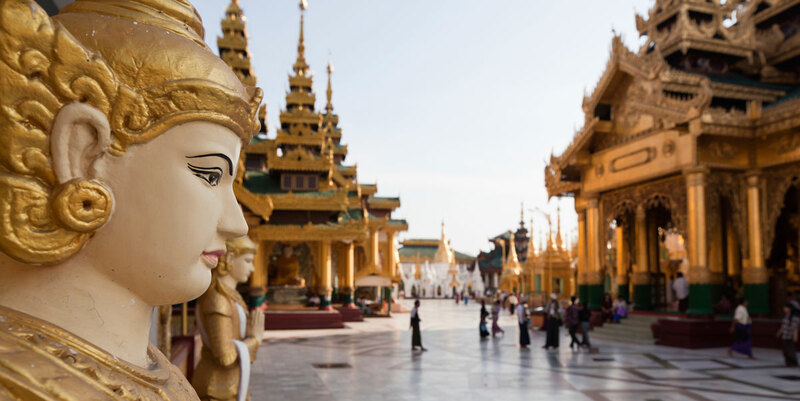 If you want to explore the wealth of Burmese culture, do not hesitate to make a trip to Burma.